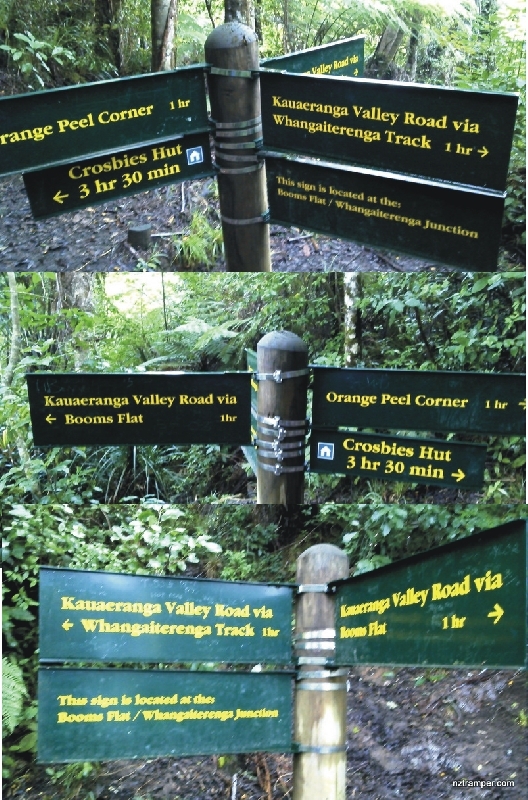 Trails: Kauaeranga Valley Road – Wainora Campground car park – Cookson or Cookson’s Kauri Walk or Wainora Kauri Track – Wainora Kauri – Orange Peel Corner – Junction of Wainora Booms Flat Circuit and Whangaiterenga Booms Flat Circuit – Booms Flat Campground – Kauaeranga Valley Road – Wainora Campground car park. 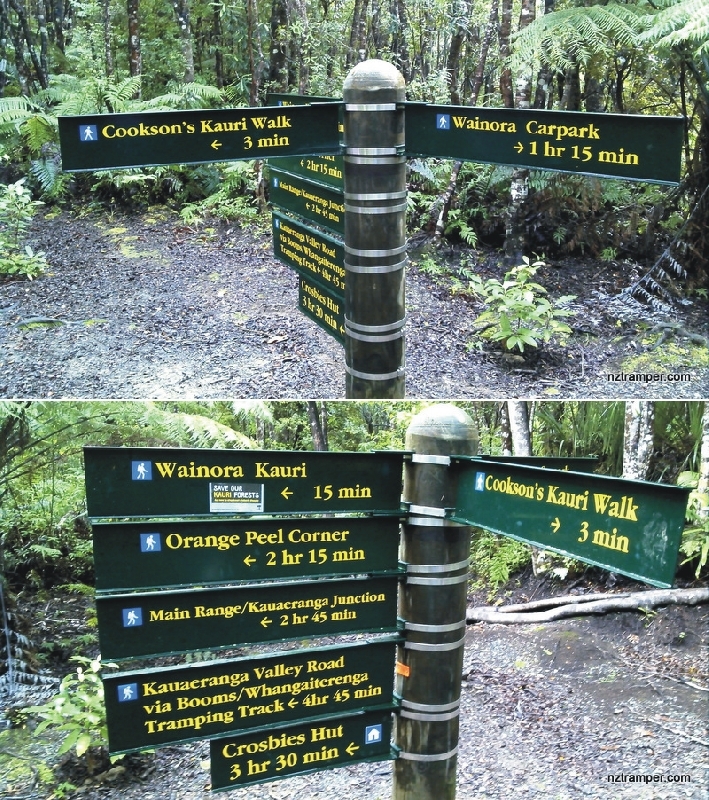 Note: Beyond the Cookson’s Kauri, track becomes muddy, slippery, steep and up-and-down until Booms Flat. 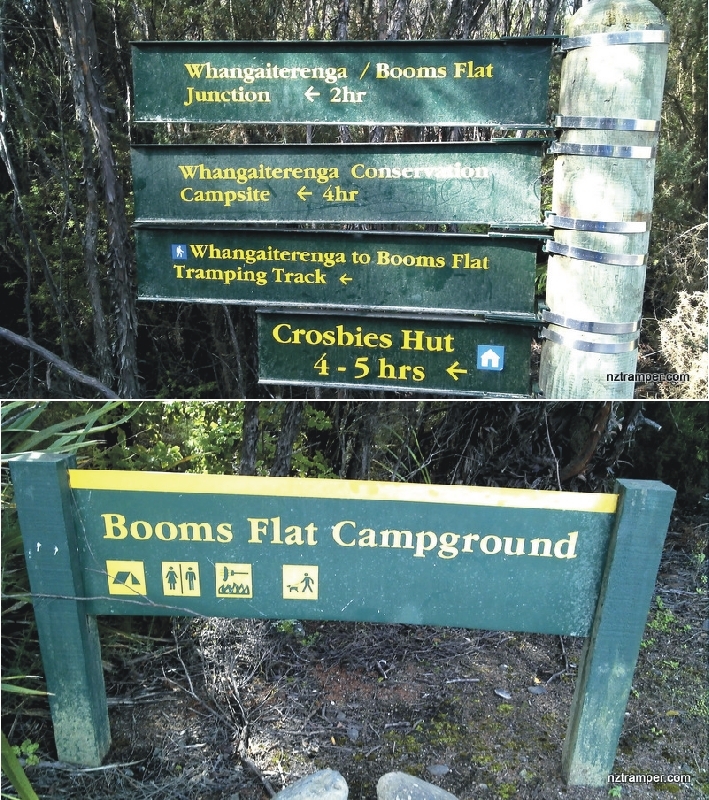 Fallen trees may block the track and hide marks. Car Park: Yes. 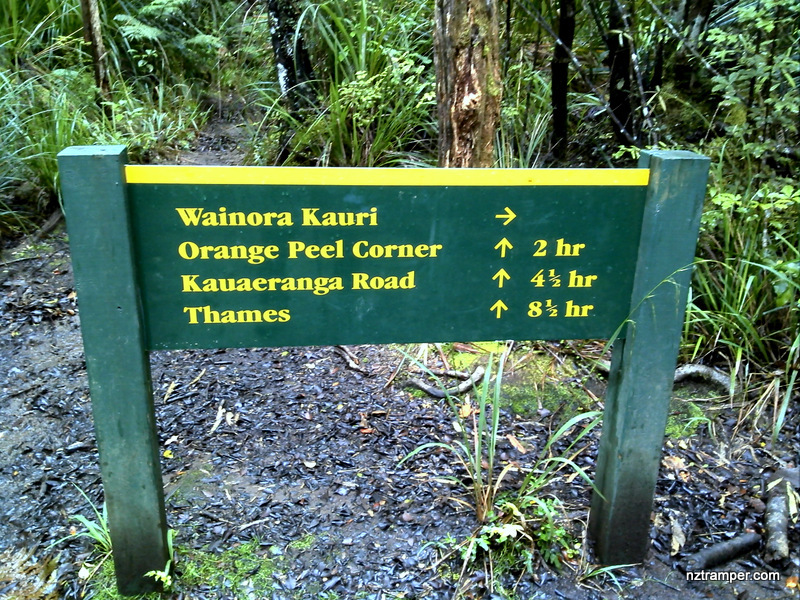 Set “Kauaeranga Valley Rd” in your GPS. 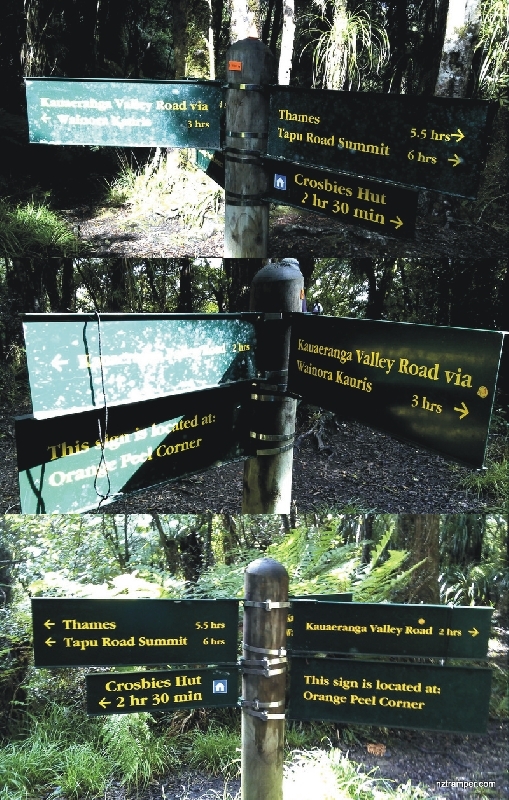 It’s about 126km 105 minutes drive from Auckland city center. 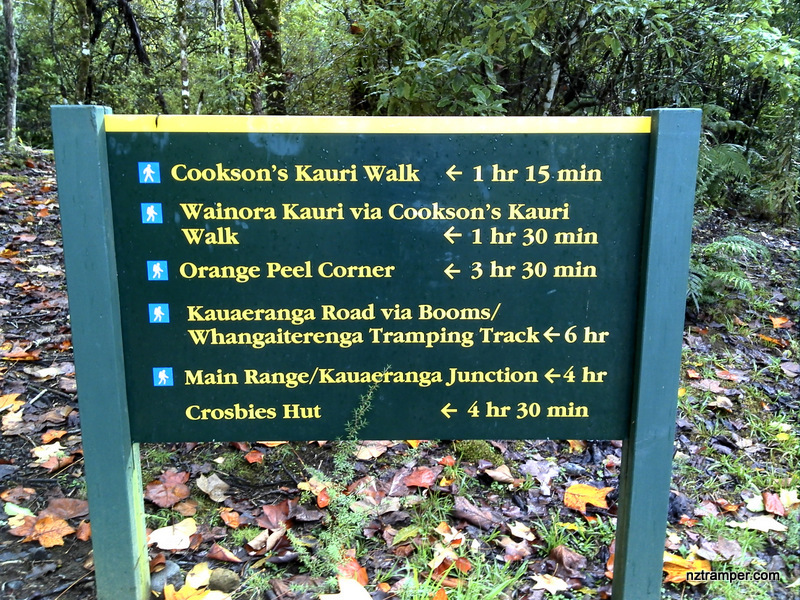 The “Total Time” is my time in April which includes morning tea and lunch time. 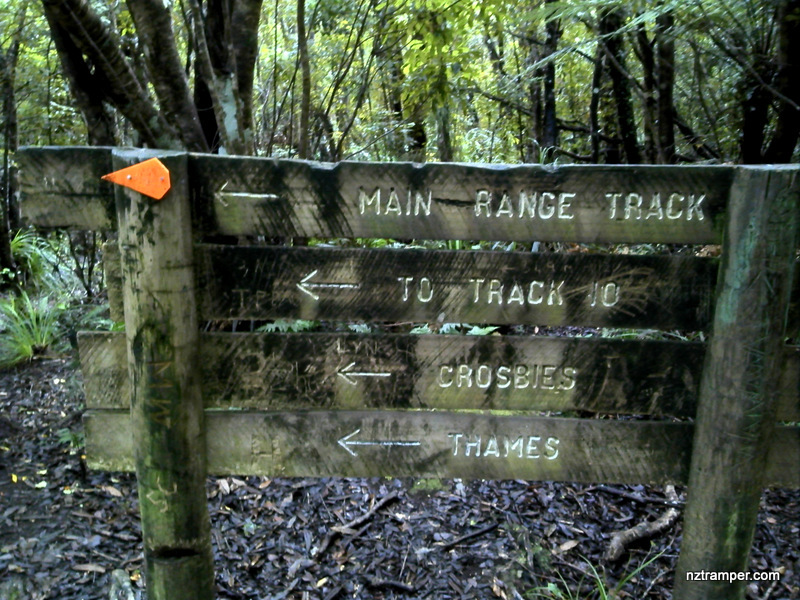 That day was cloudy and the track was wet and muddy. If you slow down to average 2.5 km/h plus 60 min stop then the total time will be around 6:15 hrs.